Welcome to HealthyRant.com, an open discussion about people getting their health on, maintaining it once it’s on, and a community to share your best health, nutrition, weight loss (maintenance), and fitness tips. What’s working for you? Comment, and or submit your best ideas to maintain a vibrant, healthy mind and body. Being the chief “ranter” here, I reserve the right to blog (even rant) about other topics of interest from time to time. What can you get out of regular interaction on this blog? You can change… even save your life from the discoveries we discuss here! It has been a personal goal of my adult years to avoid preventable health issues. It’s my new life’s goal to see preventable diseases eradicated for as many people as possible through what we do here and involvement with various local and national efforts. My main diabolic culprit targets are obesity, diabetes, and coronary artery disease. I’m counting on you to bring other health issues to the table for discussion, and weigh in on topics posted. 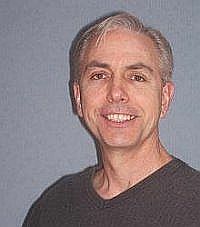 My name is Scott Carson and I am the nuts about health blogger here at healthyrant.com. Currently, I make a comfortable living from the lack of health in other people. I want to change that around, work my way out of this job. I’m now more interested in making progress toward seeing more people get their health on and avoid totally preventable disease. Healthcare (one wag calls it Sickcare) is a multibillion dollar industry with limited resources that are used up more today than even 10 years ago. Why is that? According to Jim Carroll, a trends and innovation expert, it’s partly because of the new treatments and diagnostics. I agree with that assessment for healthcare resources, but for our purposes here, I prefer to focus on what the individual can do to avoid those expenses and thus diseases. We are a fast-food, fast-everything society and we also want our health maintained fast with the use of medicine. We’re too busy to exercise, eat right, or rest – who has time, we say. Our bodies take the abuse and lack of maintenance for years… maybe – then crisis strikes, the diagnosis of type 2 diabetes, heart attack or stroke. We look to doctors for miracles – they have none. Along with a hand full of pills to take, to control of our out of control bodies, they half-heartedly recommend exercise and low something diets – usually, low saturated fat, and reduced salt. The kicker, they themselves have become a product of their industry – disease. They’re too busy. Do you need an “overhaulin” intervention? The kind of intervention I speak of here is a personal responsibility transformation. Take care of your body, you only good around once in this life. Don’t rely on your doctor, insurance reform, although that may be needed, or government involvement, take control of your own health. The majority of patients I see on a daily basis follow a typical pattern, wait until something goes wrong and then go to see their doctor. Ask the average person you meet when their last check-up was. They may not remember or it had been many years. Visiting a doctor because we are healthy for routine check-ups is definitely not the norm. Here at Healthy Rant, through collaborative effort, want to assist you to achieve your best health. We recommend that you have regular check-ups at your doctors or healthcare practitioner to have the appropriate blood work done to see where you stand as far as the relevant indicators of healthy blood. You should know how your current plan for health and well being is working. How well am I eating? How is my exercise or activity helping me? Many of the answers are in the blood. Once you find out, we have some recommendations. We’re also confident that there is a community of like-minded people that have input for you as well. If you want to continue to eat cheeseburgers, french fries, and sit on your bum that’s your right. However, if you don’t want to come see me in the hospital then follow us on a personal journey to your best health. I’ve worked in the Healthcare field for over 25 years. What pays my bills currently? I work in the Heart and Vascular labs of a very busy Hospital downtown San Antonio, Texas. We diagnose and treat coronary artery (CAD) and peripheral vascular disease (PVD) as our main service plus a host of diagnostic and interventional procedures on varies maladies, cancers and blood vessel abnormalities. In my adult years, I have always been interested in and followed what I believed to be the best plan for my own health, but only shared with folks who asked… and they do ask. It was my heart that brought me to this point of my life. I just felt compelled to write about what I see as the answers to what to do about the deterioration and destruction of a people, i.e. preventable diseases. Specifically, over the last 20 years I’ve watched people eat, and sit their way into obesity, heart disease, diabetes and cancer. These “train wrecks” in waiting, mostly obese, type 2, (many totally preventable mind you) diabetics lose mobility, limbs, and ultimately their lives. It’s not even so much that they lose their lives, it’s the quality of life while their going down. Total misery and suffering. NOTE: Before you write, I understand that all diabetes is not the result of obesity, but obesity is the breeding ground for loss, disease and early death. Save yourself! It was one particular procedure that I was involved with that was my breaking point which gave me the idea to get involved in this way by blogging about health issues. We were performing what is called an AIF which stands for aortoiliofemoral with run-off. This is an angiography or x-rays of the blood vessels of the legs. For our patient that day it was the remaining leg we were going to take pictures of. The patient, a male, had already lost his other leg to Peripheral Vascular Disease (PVD) due to the effects of diabetes. He looked up at me from the exam table, crying he said, “I don’t want to lose my other leg”. I wanted to cry with him and in my heart I did. That case and many like it has brought me here. So, I come here to shout from the roof tops, “SAVE YOURSELVES“! Many of the diseases we see today are totally preventable and in more cases than not, even reversible. We’ve seen heart disease, diabetes and obesity reversed without medication or radical surgeries. Live out your years full of life and vitality, not suffering and deteriorating like bad fruit. My hope is that this Blog will show you and we’ll get to know each other. I am married to the most beautiful woman – Chris, we have three totally awesome children – Michelle, Valerie, and Joshua. We are grandparents to the gifted – Haley. Basically, I’m a life student, health conscious lad with a desire to share the good things I’ve learned in living out the healthstyle (coined from Darya Rose of Summer Tomato) I want. For most of my adult life I’ve been doing what I’ll call “the basic pillars”; nutrition, exercise, rest, and soul care and maintenance. I believe in the power and combined knowledge of the greater community (crowd sourcing) and so I count on learning much from you as well; what resources you’re discovering as well as what’s working for you. I’m counting on my dietitian /nutritionist and fitness specialist friends to keep me honest. As a shared experience, we’ll learn and grow together as there are no perfect diets, exercises’ or plans for everyone. Each one of us has his/her way we must follow. My aim and I hope yours, is that we help each other stay at it for life. I mention doctors previously merely for common understanding; as far as nutrition goes, most doctors haven’t got a clue. Only recently have medical schools begun to include nutrition as a part of their curriculum. Doctors are medicine professionals and should be seen as such. Some follow their own advice, many do not. Some doctors are good diagnosticians so they can help you figure out signs and symptoms. My goal for me and you, since you’re still here is to avoid the need to see doctors for anything more than someone to order the blood work and other tests necessary for check-ups and maintenance. Treatment, only when necessary with all other efforts exhausted. Many people use physicians as life experts and do whatever the doctor says. They wind up with a grocery bag full of medicines and the associated side-effects. Some would rather take a pill than eat right or exercise. When a doctor recommends a course of treatment, this should be a team effort, you ultimately decide with the provided information in your arsenal what steps to take. I’m a passionate patient advocate. This is changing. More and more, you’ll begin to hear of “integrative and alternative medicine in more places than in California. What was once considered “quackery”, is now showing signs of acceptance. In 2007, the world renowned Mayo Clinic, put out a book “Mayo Clinic – Book of Alternative Medicine. Medicine is my absolute last resource after trying simple adjustments in lifestyle and eating habits. My father spent 45 plus years in banking when he was diagnosed with fourth stage bladder cancer. After four weeks of alternative therapy and healing, he got out of banking, and became the administrator for the doctor who ran the clinic he went to. Alternative therapy is an area I’m hoping to discover farther through discussions here. I don’t come to you as an expert with degrees in exercise physiology or nutrition. I have a BS with emphasis on healthcare management and a MS in management. You’ll see research and you’ll see what has worked for me and others on this Blog. I am also a lifelong student, so I know that I’ll learn more here from you as we fight against life’s imbalances. My great hope is that together we can enrich our lives and become beacons of light for those ships who have lost their way or have never known the total joy and feeling of total health. Thanks for arriving at this point — even for scanners who may have missed the above nuggets;) The next place you may want to scan is where it’s all going on… my blog posts. Please, let me know what you think or your tips on the subject. Contact me for any reason, I promise to make every effort to respond as soon as I am able. If it’s summer, you may have to wait until I come off the mountain bike trail. Please be sure to stay in touch with what Healthy Rant is up to through one of our subscription methods. Eat, Drink, and Be Social by connecting with me on Twitter, Facebook, and LinkedIn.